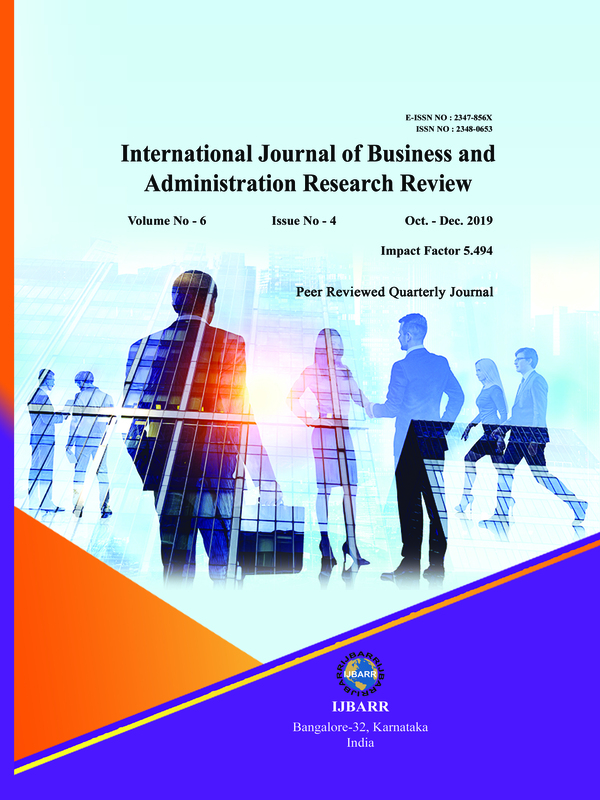 International Journal of Business and Administration Research Review (IJBARR) is a double blind peer reviewed quarterly journal that publishes empirical, conceptual and review papers of exceptional quality that contribute to enrich business administration thinking . The objective of the Journal is to disseminate knowledge, which ensures good practice of professional management and its focal point is on research and reflections relevant to academicians and practicing managers for sustainable business. IJBARR covers the diverse areas of Management such as Marketing, International Business, Human Resource Management (HRM), Office Administration/Management, Operations Research, Operations Management, Organizational Behaviour and Theory, Banking & Finance, Marketing, Operation & supply chain management, Management information system, Entrepreneurship, Strategic Management, Organizational Development, Production/Operations, Purchasing/Materials Management, Policy making, Technology/Innovation, Tourism and Hospitality, Leisure, Transportation/Physical Distribution, Rural/agricultural Management, Knowledge Management, Business Ethics, Corporate Governance, Corporate Social Responsibility. How to submit Journals ? a ) We will accept soft copies of article through online . 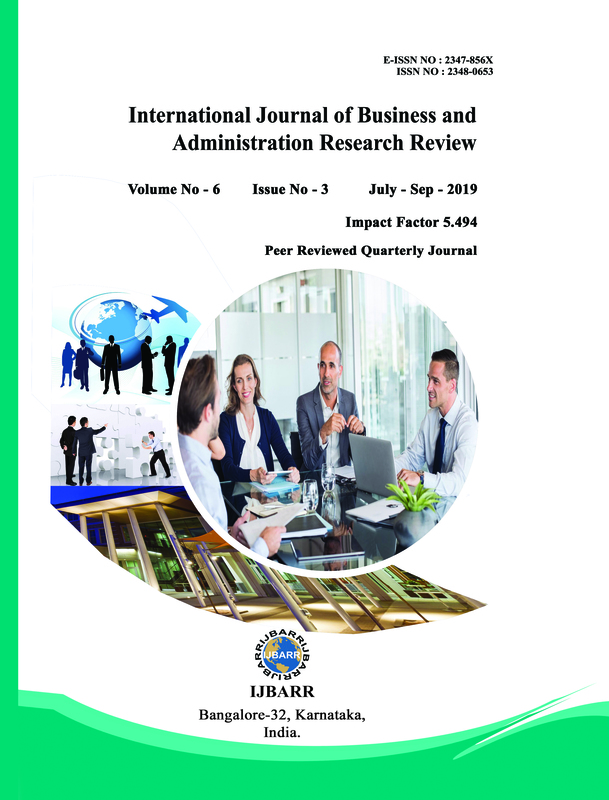 Please make optimum use of our online portal www.ijbarr.com and go to “Submit an Article” section to submit abstract and full article.The abstract and full article has to be submitted in Ms-word format only. b ) There is no deadline for submission. What is the impact factor ? What is the ISSN ? Research Paper Submission Date ? Papers submitted on or before last date can only be published in Current issue, Printed copy of your journal to be sent to the mailing address through registered post. Kindly visit our website or click www.ijbarr.com for submission & publication guidelines.